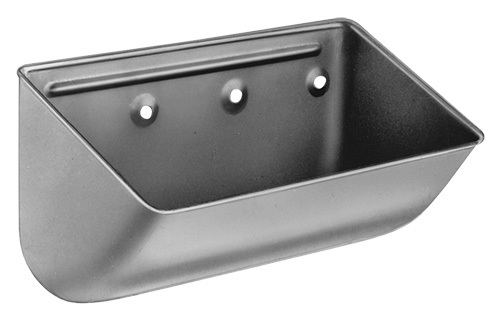 Big J are North American grain CC style elevator buckets made from deep drawn solid steel without any welds. The wingless design delivers lighter weight than fabricated equivalents with closer vertical spacing possible. 4B is the world's leading elevator bolt manufacturer, producing all the well known industry types: Norway, Euro, Fang, Easifit, Ref70 and Easifit. Rubber, PVC and FDA food quality belts are available. Belts vary by style and include: anti-static, high temperature, oil resistant, and flame retardant types. No videos currently available for this product. At 4B we have helped to upgrade hundreds of bucket elevators over the years for many different industries. Our application engineering expertise includes: grain storage, animal feed, flour milling, brewing, biomass, cement, coal, frac sand, as well as other processing industries. Using your key technical data, 4B engineers will provide preliminary design and component details to enable your bucket elevator to operate at its optimum capacity and discharge potential. If your existing elevator cannot be upgraded to meet your current needs, 4B engineers can provide a basic design for a new one. Take advantage of 4B’s FREE worldwide technical support from a team of engineers specializing in upgrading and optimizing bucket elevators. To get a recommendation from our engineers, CLICK HERE to fill out our online form.